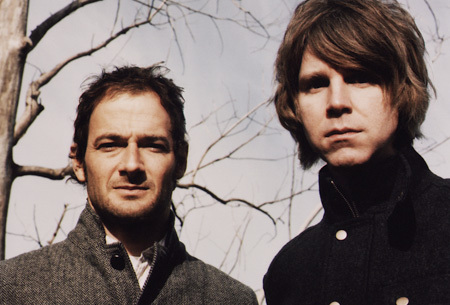 Pat Sansone and John Stirratt play together in the bands Wilco and the Autumn Defense. The pair met in New Orleans and began working together in 1999, when the Autumn Defense was formed. Sansone eventually joined Wilco in 2004 and that band has kept both men incredibly busy. Still they find time for the Autumn Defense and on Jan. 28, 2014, Yep Roc releases the band’s new album Fifth. Back in July 2013, Sansone and Stirratt met with me at Toronto’s Molson Amphitheatre, where Wilco was playing a date on the Americanarama tour featuring Bob Dylan, My Morning Jacket and, that night, the amazing Richard Thompson. Hours before the show began, we discussed breakfast at Amphitheatres, the impact of Wilco’s busy schedule on the Autumn Defense’s productivity, the social element of this band and its evolving sound, some recurring themes on Fifth such as the harsh living conditions in the “extreme city of Chicago,” a horrible story of a drive-by shooting near the studio the band was working in on a frigid January morning, the U.S. gun problem, how the Autumn Defense began and how Pat ended up joining and even influencing Wilco, how Wilco influences the Autumn Defense, an album highlight, some behind the scenes scoop about the Americanarama tour, and more. You can also hear the song “None of This Will Matter” at the end of the interview.